My 12-week transformation. Over the past 12 weeks I set myself a challenge to see how lean I could possibly get! In that time, I managed to lose a whopping 33 pounds, a shocking amount of body fat and learnt a lot about both my body and the human body in general. Here is what I experienced and what I will be taking away from the process. Like climbing Mount Everest, running a marathon or cycling the length of the country, there is no real reason to accomplish these feats other than that of the challenge itself. Now I’m not comparing what I did to climbing Mount Everest (although it felt like I was at some points), but rather I knew that what I was performing wouldn’t necessarily improve my life or health and in fact it may have the opposite effect in the short term. 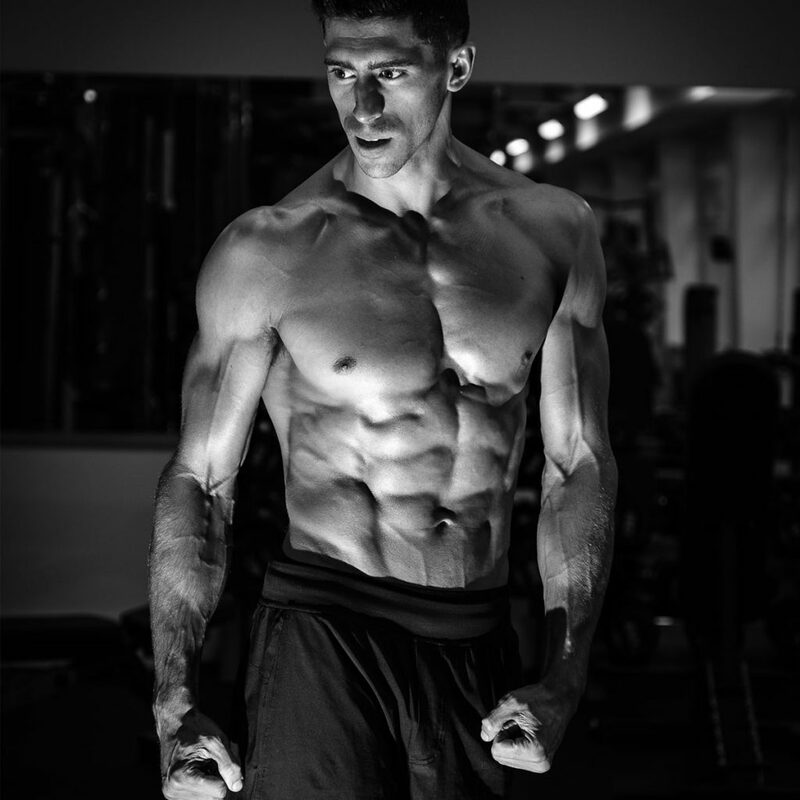 So, you may be asking yourself why did I bother doing this 12-week transformation? Well, that is a very good question! Having been a personal trainer and involved in the health and fitness industry for over 11 years I have seen many trends come and go. From functional training and cave man style diets to eating anything with the word protein on the packaging and performing Booty exercises on any piece of gym equipment available. Today’s current trend is all about the 12-week transformation – the “Before and After” picture! They are incredible! A 40-year-old man who has never stepped foot in a gym manages to go from Dad bod to Brad Pitt in Fight Club in just 12 weeks. But, how realistic are these transformations and are they motivating the general public? I have my own opinion on this which has been developed through my own experiences both as a personal trainer and as a gym goer for the past 15 years and I personally think it is poisoning the health and fitness industry. The first word says it all and should be at the forefront of everything we do – Health! Having only trained for sport performance previously and only learnt about fat loss via educational content and putting my clients through the process I have never actually put myself through a phase of weight loss. I have never really needed to. At the start of this process I didn’t really need to either but I wanted to appreciate how difficult losing weight really is and what it takes to dramatically change my body shape from a shape that I have been for a long while. I also wanted to learn from the experience and hopefully become a better personal trainer off the back of it and to inspire my clients and others. You can read all the books, attend all the seminars or gain all the qualifications you want but nothing beats having the hands on experience and knowledge gained from going through the process yourself. It’s difficult to respect your coach if they have never truly played the game themselves. I also love a challenge to see how far I can push myself both mentally and physically. There has been a big change in the industry and the type of enquiries we now get at FORM. A lot of people want the 12-week transformation as they can see a dramatic change in a short period of time and that is much easier to commit to. How difficult can it be to commit just 12 weeks to something? Personally, the commitment side I didn’t find too difficult, but that may be because I am a stubborn b****stard as well as very determined. But the actual process itself, well that’s a different story! 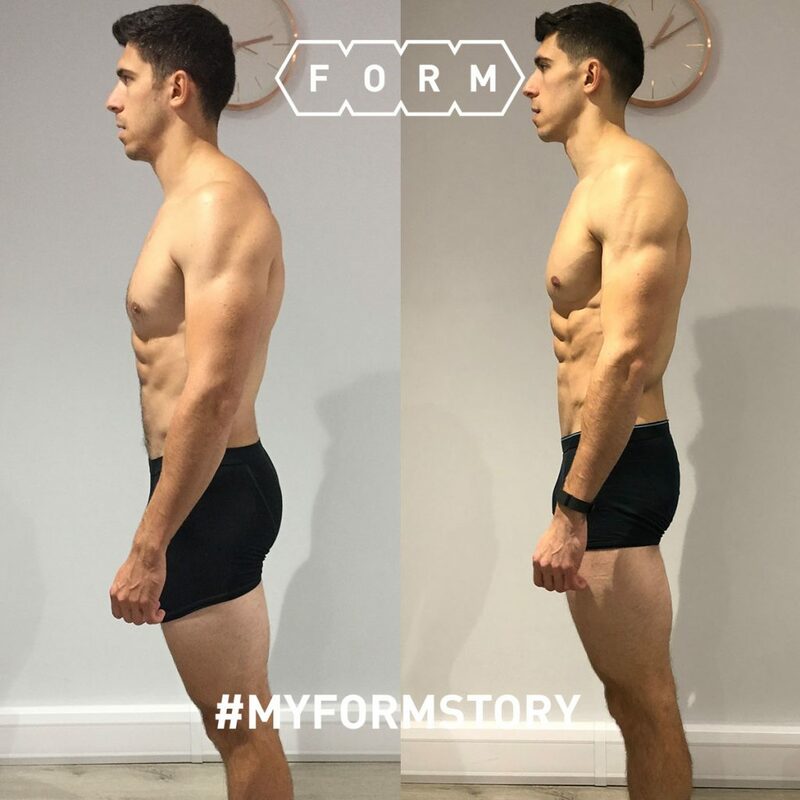 I knew that the 12-week transformations were hard before doing this one myself but I now truly appreciate how hard they really are! And I can truly say now that 99% of the people that enquire for personal training do not want or need to put themselves through this process. It’s HARD! This isn’t saying that we shouldn’t aim for something dramatic and have short term goals, but rather being realistic with these goals. Set short terms goals but ensure that there is a longer, more sustainable goal at the end of this. You don’t want to work that hard just to look good for a one week holiday. When I say it isn’t worth the effort for just one week of looking good….. trust me it isn’t!! The first 4/5 weeks of my transformation were not too difficult and quite enjoyable. Calories were dropped but they started at a very high point so this wasn’t too difficult. I performed weight training 4 times per week and cardio on the other days. I had stopped performing any specific cardiovascular exercise since I retired from professional sports and this was something that had been added back in for the 12-weeks. I realised how enjoyable it can be going out for a run and getting out the house / gym. My weight dropped quite nicely, at a rate of about 2 pounds per week but this wasn’t too motivating as I didn’t look much leaner. This is where things started ramp up (or down in terms of calories). Food was dropped and energy levels were affected as a result of this. There were a couple of social events during these weeks which were a little bit awkward! Going to a charity ball not knowing that many people and everyone else rather intoxicated was interesting, as well as staying at some friend’s house for the weekend and taking our meal prep for the entire time! They said they understood but I’m sure deep down they think I’m a complete nut job!! My training and cardiovascular training was ramped up at this point too so the time needed each week was challenging sometimes finding myself alone in the gym on a Friday evening just to get the 45 minutes completed on the bike. Again this wasn’t too motivating as although my weight was dropping quite dramatically and I felt leaner it didn’t seem worth the effort at this point of the transformation. Calories were dropped to 1000 on non-training days and 1700 on training days. I cannot remember a time when I’ve eaten this little during a day! On top of this I needed to complete 45 minutes of cardio every day and lift weights 4 times per week as well as 10k steps per day. Coffee became known as personality juice and I experience what is known as ‘Hanger’ for the first time! At this point things got seriously difficult! Going for a run on a Sunday evening in the cold after only consuming 750 calories and knowing that you only have 250 left for when you get back is not fun. But this is where most people fail and I had to keep reminding myself this. It is the process that I need to enjoy as well as the end results. Productivity at work and relationships were being affected. It wasn’t that I didn’t want to do work or have a conversation with my girlfriend it was just I didn’t have the energy reserves to!! My body was going into shut down!! But, motivation was quite high because it was in these final weeks where things started to get a bit freaky!! I could see muscle I had never seen before and was getting stupidly lean. This wasn’t too bad apart from the Wednesday before Saturday’s photoshoot. The Wednesday was by far the worst day I had experienced and if the end wasn’t close I think there is a good chance I would have broke. I was sat in a very important meeting having already had 3 coffees and my fourth in my hand and it wasn’t doing anything. My concentration and patience were at an all-time low but the end was near!! Bring on the photo shoot and the burger I had planned for that evening! I learnt how stubborn I can be, how easy it is to lose weight and what it truly takes to get super, super lean and take myself through a transformation! The biggest lesson that I have learnt from putting myself through a transformation, is in a world of weak minds and feeling sorry for yourself, you are the only one capable of making the change and getting something done. It’s just hard work and discipline – nothing more, nothing less. I now know I am capable of more than I thought I was. If you truly want to achieve something you need to be fully committed to the process. This isn’t just to get super lean. Even if your goal is to improve your heart health, drop a couple of dress sizes or run a 5k you must make some scarifies and stop making up excuses. You can achieve more than you thought possible, just take each day as they come and remember you are doing this for yourself. Want to start your journey? 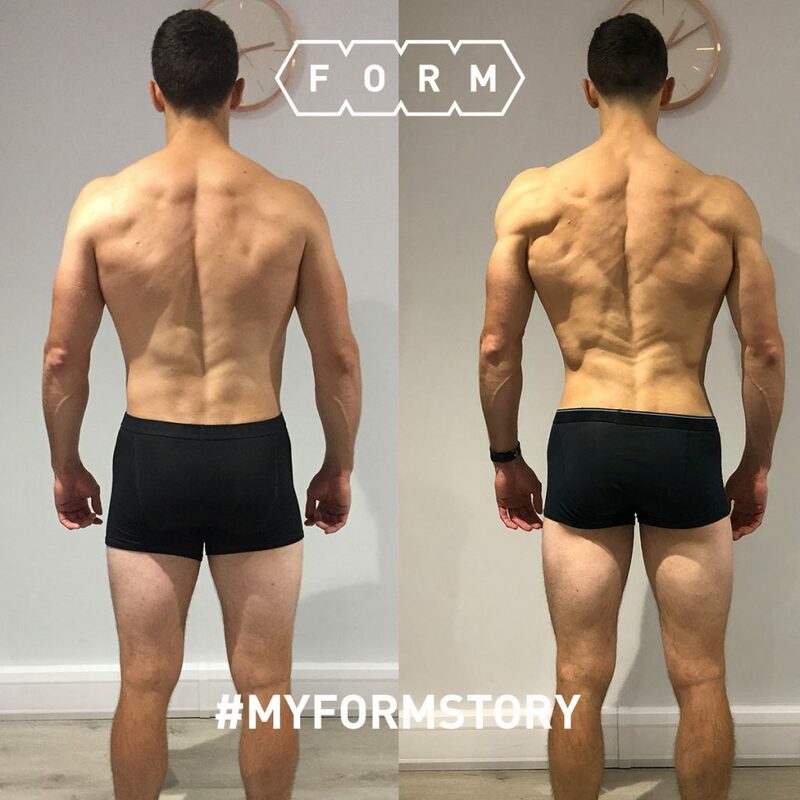 Email info@formmcr.com to book in for your free consultation today.